There is always a certain tone to his voice. A little excited, a tad bit nervous even. “Guess what?” And I give him a long, penetrating look. And I know. And a shiver of anticipation runs up my own spine. “Where to this time and what’s the timeframe?” So much planning to do, starting with how and when to tell our daughters. It’s the WE-have-been-transferred conversation. Because when you are an expat family, it’s not just the worker that is being transferred, we are all moving on. As with most things in life, there is bad and there is good. 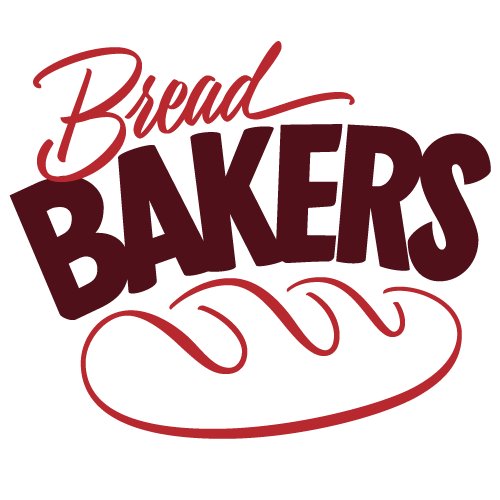 Bad is leaving behind the home you know, the friends and family you love, the community you’ve become an integral part of, where people know you and love you and you can contribute. Good is a fresh start with new places to explore, sometimes just within yourself. Can I do this again? Can I make a new place home, find new friends, fit in again, have fun exploring and be happy? When my husband found out about our second to last move, the talk came as a phone call. “Guess what?” And I could hear the tone. “Will I like it?” was my first question. “I think so,” he responded, “It’s Cairo!” And he was right. “I’ve always wanted to go to Cairo,” I responded, “but not as a tourist.” I just had the feeling that Egypt was the kind of place that wouldn’t let a mere tourist in. Sure, you could see the sights and sites, but to get the deep down feeling for the place and people, it wouldn’t do to scratch the surface with a tour guide. Truth is, I’m not a very good tourist. I’m not crazy about tour guides and seeing all the hot spots. I want to go to the local market and buy new ingredients and cook the food. I want to sit in a corner café and watch the people go by and sip whatever the locals are drinking. I want to immerse myself and make friends from all over. I want to learn about the culture and the people. I want greet the folks at my nearby grocery store and get to know them. I want to become a familiar friendly face to them as well. All of this is a very long way around telling you that Egypt became that home, despite our short time there. In a little less than a year, I made friends. I volunteered at the community center. I visited orphanages and charity clinics. In short, from my very first impressions, I fell in love with the people, Muslim and Christian alike, for their warm hearts and expansive giving natures. Everything is done in wide-open gestures. Normal conversations are often shouted, which I must admit I found alarming at first. But I soon realized that the raised voices were normal in that culture and didn’t mean animosity or even anger. Just enthusiasm. Such was the elated optimism before the first-ever democratic election that I almost cannot bear to watch the news right now. And all I can do is pray. For peace, for reconciliation, for wisdom, for the leaders of Egypt and the world to find a quick resolution to the strife. As lovely as Dubai is, a big part of me wishes I were still in Cairo, peacefully baking my muffins every Thursday, in readiness for the Muffin Monday post, and, as I always did, sending them home with my sweetheart housekeeper, Reda, and wishing her and her family a restful weekend. If you haven’t met my fellow blogger and friend, Marilyn of Communicating Across Boundaries, she is in my blog roll of Favorite Blogs up there in the left column, but, since Egypt’s on my mind, I’d like to share her post from yesterday: Egypt – a Call to Prayer. Marilyn grew up as an expat child, lived in Cairo as an adult and also has a heart for Egypt. If you are the praying sort, they can use all the prayers they can get right now. Or you could just bake muffins for someone you love. Because this world could use more love in the form of muffins. 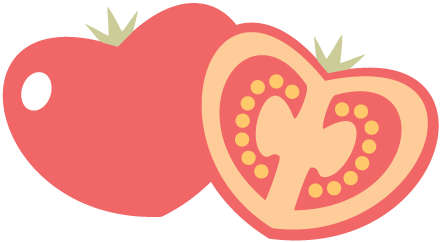 Cut the peach in half and remove the pit. Cut 12 thin slices out of one half, set them aside for garnish, and then chop the rest of the peach in small chunks. Set aside 12 blueberries as well for garnish. In a large mixing bowl, combine your flour, sugar, salt and baking powder. Pour your wet mixture into the dry ingredients and stir until they are just combined. There should be some dry flour still showing. Don't worry about how dry this looks. The juicy peaches will make up for that while baking. Fold in the peach pieces and blueberries. 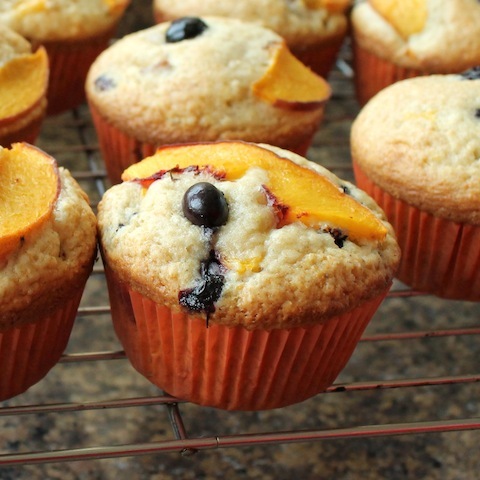 Top each muffin with a peach slice and a blueberry. Cannot wait to try these and love how you linked Egypt with these muffins! Thank you! Perfectly lovely post. Perfectly lovely muffins. Thank you, Movita. 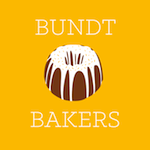 High praise from a baking school alumna like yourself! What an incredible life you've led, Stacy. I would love to meet you one day, sit down with coffee and muffins as delicious and gorgeous as these, and let you regale me with stories from all your travels. It's devastating what's happening in Egypt right now. I'll join you in your prayers for peace right now. That would be my delight as well, Nancy. I honestly believe that everyone has stories to tell so I would be just as interested in hearing yours! Thank you for joining me in prayer for peace. The whole region is in such need! I should start off by telling you that when I started reading this post (with my first cup of coffee - still moving slowly) I was under the impression that *you* were leaving Dubai and moving to Cairo! I'm glad you're staying put for the time being, but join you in your prayers for some sort of resolution to all of this horror and sadness. One of the things about living in so many different places is that the news has a way of becoming so much more personal to you. Things aren't just happening on the other side of the world: they're happening to real people in a real place. I suppose, like everything, it's a blessing as well as a curse. Those are such cute muffins! It looks like a smile with a button nose. I'm sorry for the troubles in your former home - I know when I move from somewhere I always leave a part of me there and carry a part of it with me wherever I go. You can't help but be in sympathetic turmoil with this burgeoning place. I will say a prayer. I had goosebumps reading this - when you live in a country as an expat it's impossible not to take a little bit of it with you in your heart when you move on. It's truly heartbreaking watching the news - I hope Reda and her family are safe. These muffins, as usual are gorgeous I don't know how you keep coming up with the combinations you do! Sorry for alarming you, Carolyne! It was rather ambiguous, to the point that I warned my daughters before I hit Publish because I didn't want them to think I had found another way to break the news. :) And you have hit the news nail squarely on its head. It is both a blessing and a curse! Thanks for joining me in prayer. Thanks, Kelli! I only wish I could figure out a way to keep the fruit up near the center but I guess then the muffin wouldn't rise and that would be a bad thing. :) I have left behind and taken so many little (and big) parts of places that I can't even count anymore. But, I guess that means I learned something from each location and was able to make it become a home so I'll count that as good. Thank you for joining me in prayer. I hope she is too, Nancy. I've written her a note but haven't heard back. We still have other friends there who would have let me know if something happened and I am sure that it's just that internet service has been interrupted and they are probably fine. It really is impossible not to take news personally when we've lived somewhere, isn't it? I would love starting my morning with one of these lovely muffins and a cup of tea. Thank you, Karen! Mornings are better with muffins. It's a fact. Loved reading this post, and these are some of the most beautiful muffins I've ever seen! Thank you, Lori! Your generous words are very welcome today. Well, and every day! You have been all over the world - I read your bio and I'm in awe of the number of countries you've visited! This is a wonderful post and recipe and love the use of fresh peaches in combination with blueberry muffins. Thanks so much for sharing with Made with Love Mondays and welcome to the series! Thank you for stopping by and thank you for hosting Made with Love Monday! 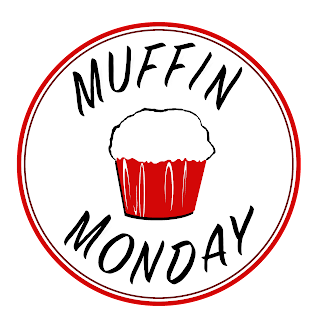 I am delighted to have found you because every Monday I post a homemade muffin.